Today, two companies supply clinical software to GPs in Wales: Vision and EMIS. On 29 January 2018, there was a surprise announcement. EMIS wouldn't be on the new framework contract to supply GP IT systems and services to NHS Wales. It came as a shock to many that EMIS would decide to pull out of Wales instead of changing its bid. The majority of doctors in Wales use Vision. The medical records for more than 1.77 million Welsh people live within Vision systems. And, our new software will continue to be available on the new framework contract. For GP practices already using Vision, the transition will be straightforward. You won't need a data migration. 195 practices must choose a new system to replace the incumbent EMIS Web. If you work at one of these practices, why would you want Vision? Our goal is to simplify and de-clutter systems, so they are easy to learn and use. Have you read our ebook about user experience design? Vision software helps healthcare professionals work together, share information and care for patients across the healthcare landscape. We believe software shouldn't distract or interfere with the delivery of healthcare services. It should enhance the experience for you and your patients. We have a proven presence in Wales. 56% of GP practices and 39% of clusters are using Vision software to care for their patients. Vision is part of a global technology company called Cegedim. Founded in 1969 and based in Paris, Cegedim is a healthcare technology business that focuses on innovation. Its global turnover is €457 million. Although we have the security of Cegedim behind us, we are still small enough to care. Many of our key employees live in Wales, including GPs, trainers, Account Managers and engineers. Several of them speak Welsh too. We're proud to have signed the contract for the new GP IT framework. Wales is in our blood, and we have many friends there. 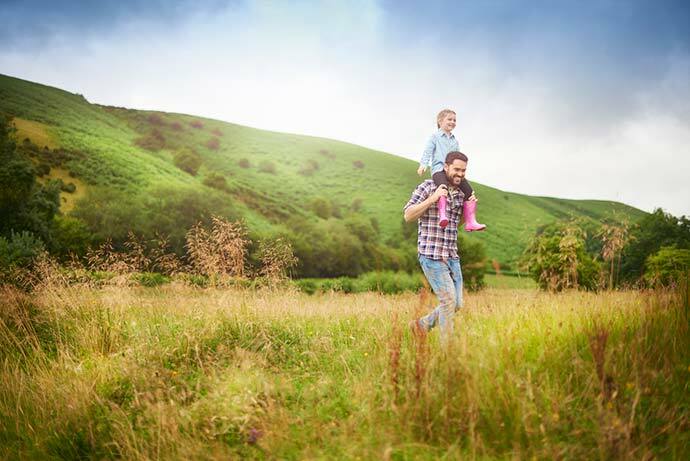 We're delighted that GPs will use our new software to manage the health for an even higher proportion of the Welsh population. "We are excited to have an opportunity to welcome more practices and patients into the Welsh Vision community. Our innovative software leapfrogs the competition, in terms of simplicity, smarter working and an outstanding user experience. Our customers will spend less time driving their computer so they can focus on caring for their patients." 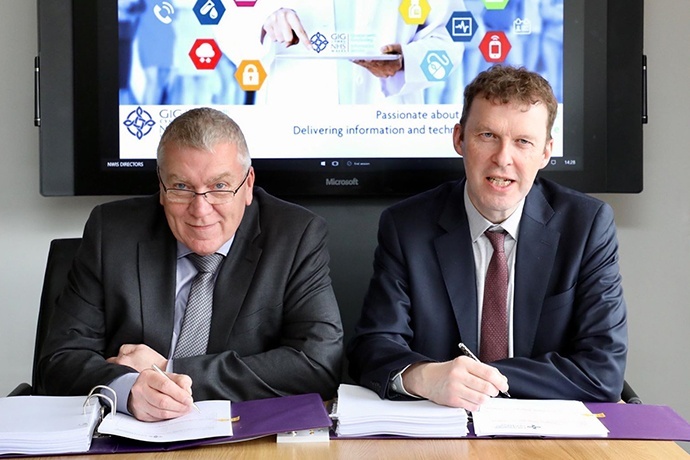 Steve Bradley signs the new GP IT framework contract with Andrew Griffiths, CIO for Health in Wales. You can find out more about Vision for GPs in Wales at our dedicated microsite.